Sheldon Bosley are once again taking part in the Stratford Raft Race on 26th July 2015 organised by Lions International. 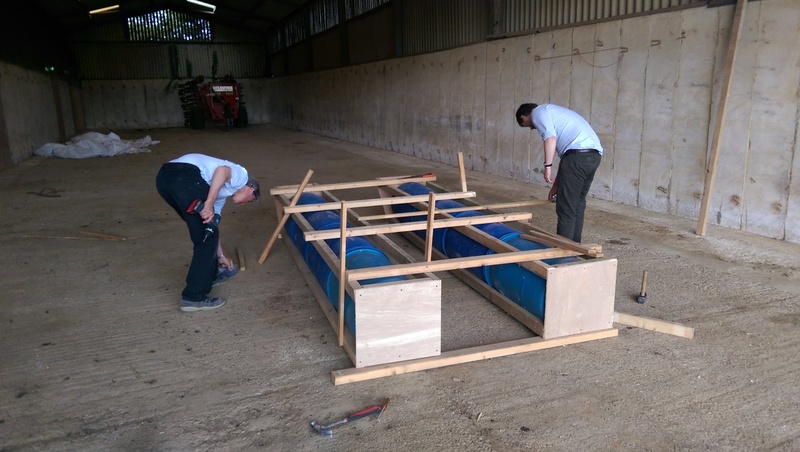 Having successfully negotiated the course last year, our team are busy preparing the Sheldon Bosley Super Raft which this time is sure to sail us to victory! 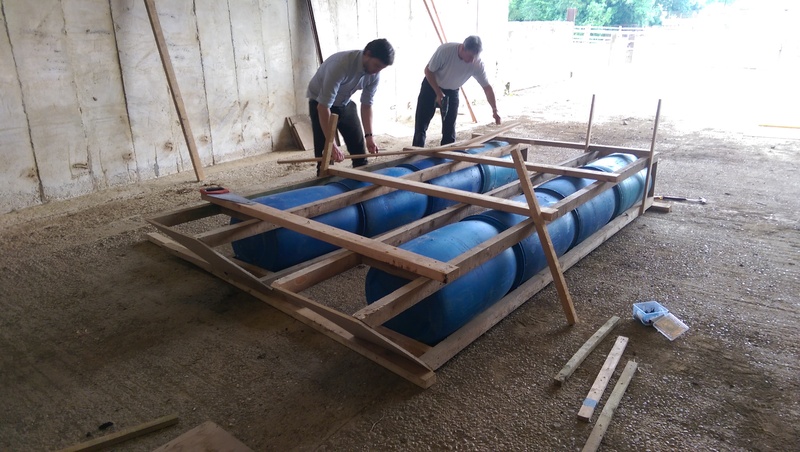 Here are James Walton and Hamish Flavell hard at work creating a raft that is going to be so powerful, they needed a space the size of an aircraft hangar in which to build it! The main charity beneficiary this year will be The Shakespeare Hospice. Please visit our donations page and help us raise funds for this very worthy local cause. We will post further photos of our progress in the weeks to come on our Facebook page and on Twitter, plus we will publish a full round up of the event itself on our blog.